PaymentMedia is the leading magazine specialized in electronic payments, mobile banking and mobile payments, on a pan-regional level. Its participation and promotion for the main industry events has consolidated it as the industry's top Spanish-language magazine in Latin America. 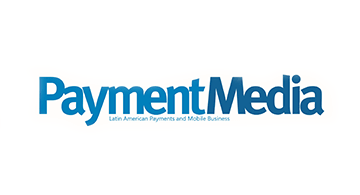 PaymentMedia's print version is distributed to the main financial entities in Latin America, as well as industry providers, and at the most important industry tradeshows and events. If you wish to receive the latest industry news and updates, don't hesitate to subscribe to PaymentMedia's weekly newsletter.